As I sorted through my box of photos and tried to decide which would be my choice for Throw Back Thursday, it struck me that I have had a good life. Not extraordinary, but solid and well-rounded. I’ve travelled, I’ve had (and still have) many good friends, I’ve had some adventures and I’ve grown up in a stable environment. While my early years probably may not be interesting to anybody but me, its my blog and I can write whatever I want. That’s just the kind of girl I am. So here’s how my life got started….. When my mom got pregnant with me she already had two kids. Three year old twins. A boy and a girl. She herself is a twin so the odds were pretty good that it would happen. Why she tested fate by getting pregnant again with me, we will never know. 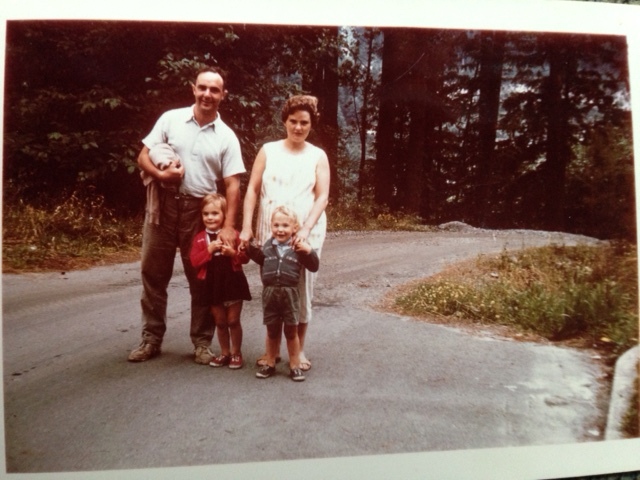 The picture below was taken when my mom was about seven months. I’m not sure where it was taken. They lived in West Vancouver at the time so I’m guessing it was somewhere in that vicinity. How cute are they? 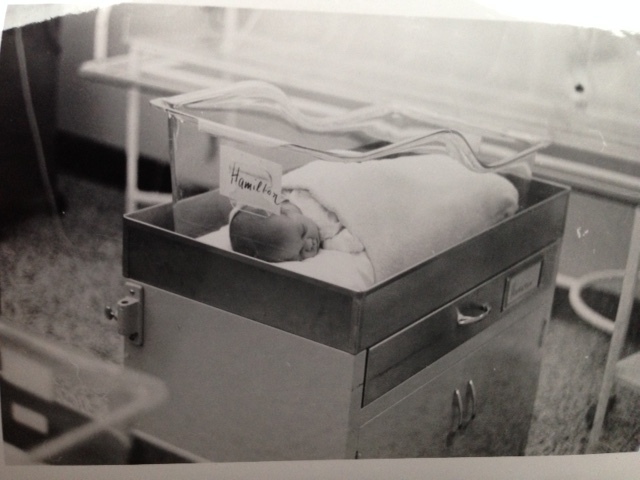 I was born at Lions Gate Hospital, as were both of my children. Why mess with something that works? I’m pretty sure that the flooring is still the same as it is in this picture though so they may want to think about some updates. According to my mom I was the perfect baby. Quiet and smiley. I liked to sleep. Some things don’t change. 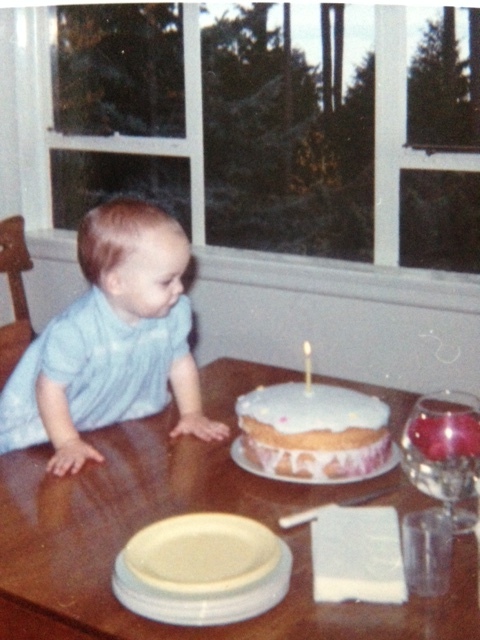 Looking at these pictures of me on my first birthday are bitter-sweet. They were taken in the dining room of the house I grew up in. My parents sold the house a couple of years ago and I kind of miss it. The view through the trees out to the water. The old style windows that opened up to a fifty foot drop. 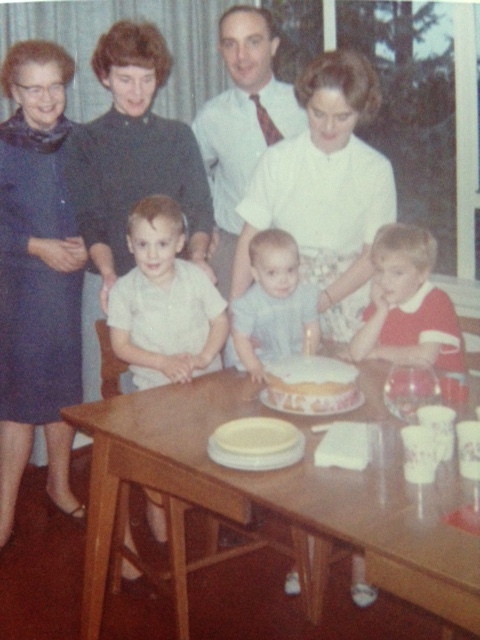 Looks like my mom made my cake that day as she always did. The flower floating in the brandy snifter is something my mom always did for special occasions. The group birthday shot includes my aunt and my godmother. My godmother passed away about twenty-five years ago but she was a lovely woman. She was kind, made awesome cookies and loved a good giggle. My aunt, unfortunately, I don’t see any more. She and my mom and dad had a falling out about fifteen years ago and she refuses to speak to them or anybody in our family other than my sister. LOL. My sister looks totally bored. My mom’s hair? Nice. 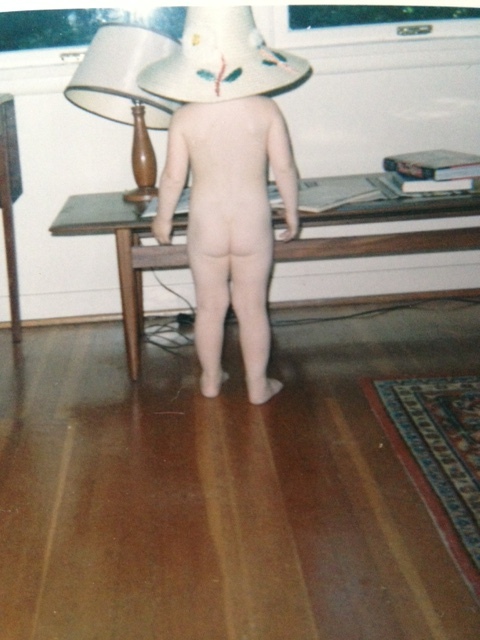 It didn’t surprise me when my daughter exhibited a strong love of being naked. She had come by it honestly. 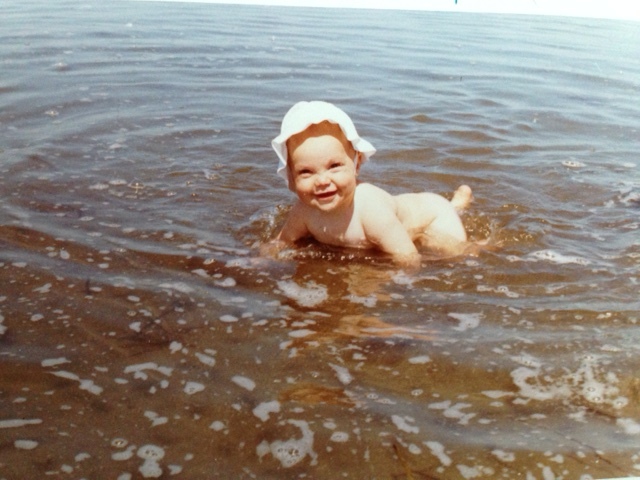 I, apparently, did not enjoy being clothed either when I was little. The first picture was taken at Boundary Bay Beach in Tsawwassen. There are more. Many more. In particular there is one of me lounging by the side of somebody’s pool wearing nothing but a white flowery swim cap. I’m saving that for its own post. 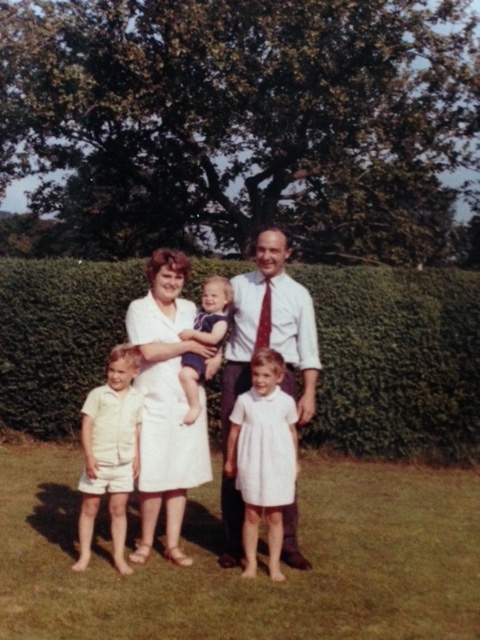 When I was eighteen months old we all went to England. The pictures was taken at my grandparents house. The house was called Hook Cottage and it had a huge English garden full of fruit trees. I love that my dad is wearing a tie even though it was probably just lunch with my grandparents. Very English. Well that’s my trip down memory lane. The first couple of years of my life on a page. I’m grateful to have had such a nice start. Not everybody gets that. The Best Thing in Life is happy beginnings. Great early years. You were blessed to have such a stable and loving famy.